Carpet Trades offers an extensive line of flooring for commercial use such as solid vinyl tile, sheet vinyl, hardwood and laminate flooring, as well as carpet. New flooring can update the look and feel of your business. Our flooring experts can recommend the option that will work best in your office or commercial space. We carry environmentally friendly products made from recycled materials. We know how valuable your time and budget are. Our in-house installers are all professionally trained and get the job done right, which saves you time and money. 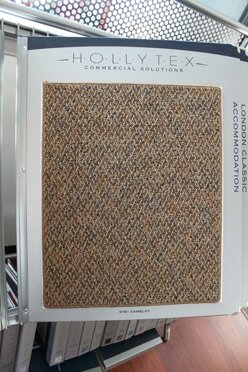 ​For the best in product knowledge, price, and installation, Carpet Trades, your "Experts in Flooring Essentials".